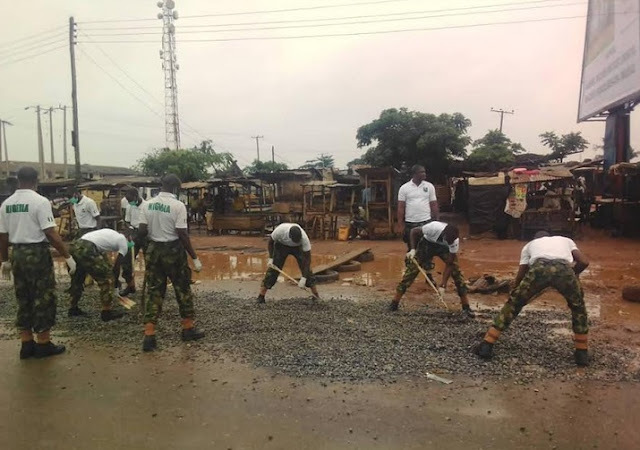 Nigerian Army Day: 192 Battalion rehabilitates Atan road, embarks on environmental sanitation.As part of activities linedup for the 2018 Nigerian Army Day, officers of 192 Battalion, Owode-Yewa, Ogun State on Saturday embarked on environmental sanitation. 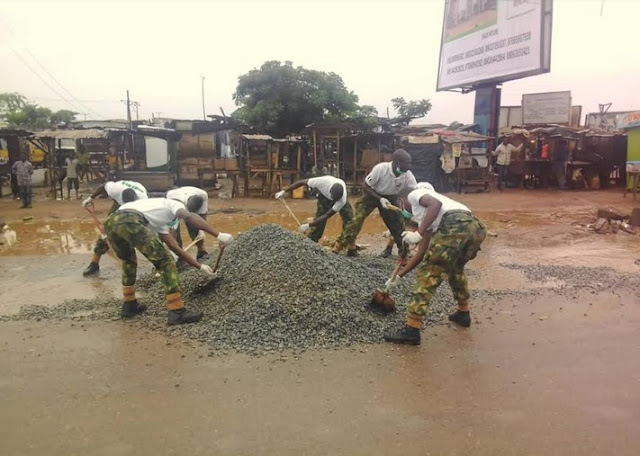 The military men led by the Commanding Officer (rear) of the battalion, Major Victor Oche undergone what could be described as community service with the rehabilitation of bad portions of the Atan, Sokoto junction road. Loopholes on the road were filled with granites as well as refuse on the road packed inside sacks. Residents of Atan, Okada riders and comuters plying the road who spoke to journalists commended the army authorities for the gesture, insisting that the exercise is worthy of emulation as it has changed the perception about the uniformed men. They however appealled to the Nigerian Army and by extention the state government to look towards the rehabilitation of link roads in the state. A resident, Pastor Adewale Ponle said he was very impressive about soldiers attitude in cleaning and feeling the loopholes on the road. He appealed to the people to always obey government's order of monthly sanitation. 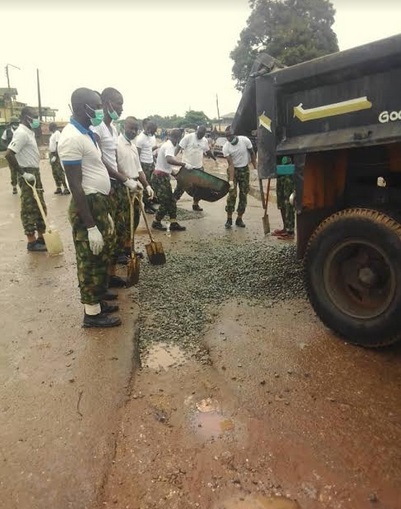 The Chairman of AMORAN, Orita unit, Kehinde Oke said him and his men are happy about the cleanup exercise, urging others to support the army in cleaning the environment. According to a passerby, Mrs. Anabel Onuh the gesture of the battalion is that the people can trust them, saying it is a good that needed to be encouraged. "I am really surprise to see soldiers on the road cleaning and packing refuse. 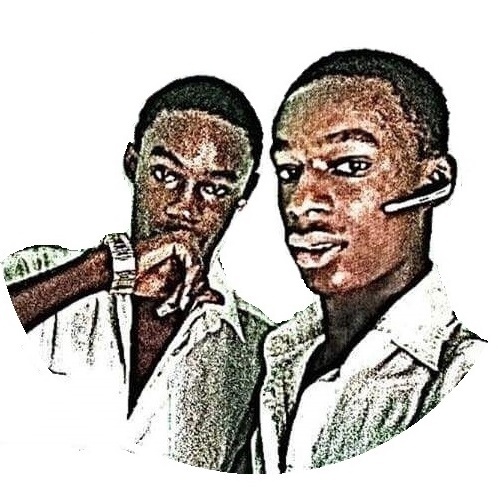 It shows we can trust them. I really thank them", she stated. Nigerian Army day is an annual event typically held on every 6th of July in honour of members of the Nigerian army especially those that lost their lives during the civil war.